I still cant believe that my wedding day has come and passed by so quickly. 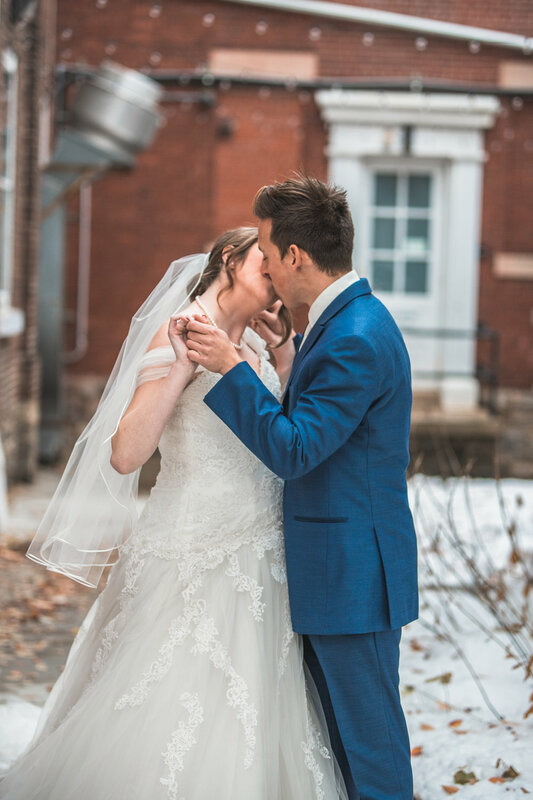 In the months of planning before hand it felt as if it would take forever until the day we both would say “I do.” But in the blink of an eye, November 16th arrived and would forever become the best day of my life. 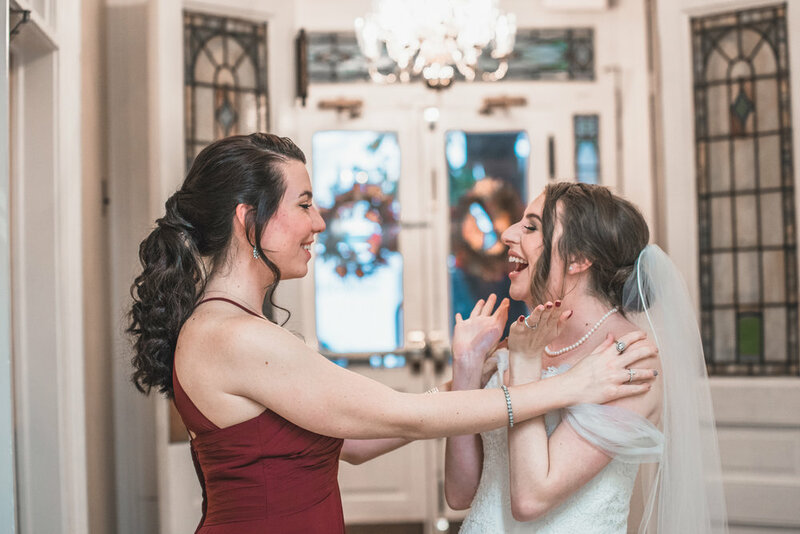 I had been told by family and friends that the wedding day would fly by, and it truly did. Gods grace and love was so present on that day and he allowed everything to work out perfectly and better than I could have ever imagined. The day before our wedding my amazing friends, brides maids, mother in law, baby sister, and husband all spent the day crafting together last minute decorations and creating the flower bouquets for our special day. 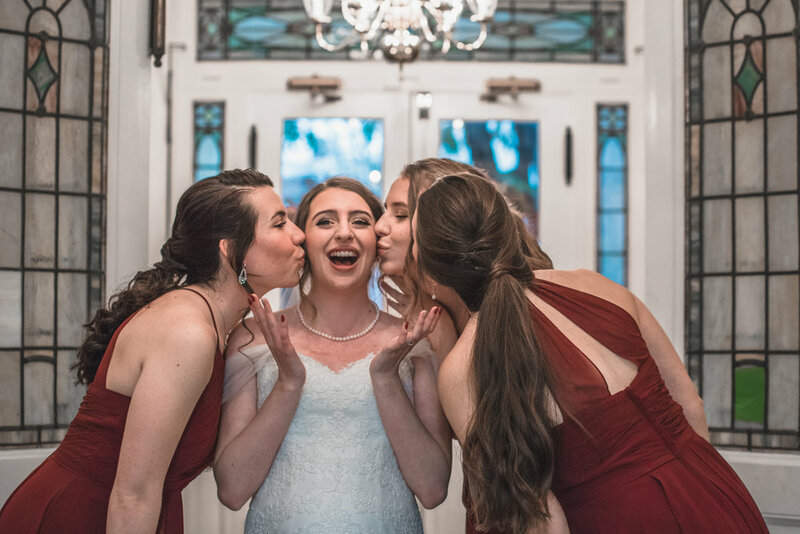 I don't know what I would have done without the amazing bride tribe of people who helped out that day. Ethan was such an amazing helper as well. He was so involved with the wedding and helping everyone with every single detail. He was so present in the whole entire process. Later that evening, we were supposed to have our rehearsal for our ceremony and also decorate the church so that everything would be up and ready to go the next day. Unfortunately, we had a freak snow storm that covered the roads with 8 inches of snow. So due to the unexpected snow storm, our rehearsal and decorating plans got canceled for that night. But God was in control and knew how to have everything work out for the best. 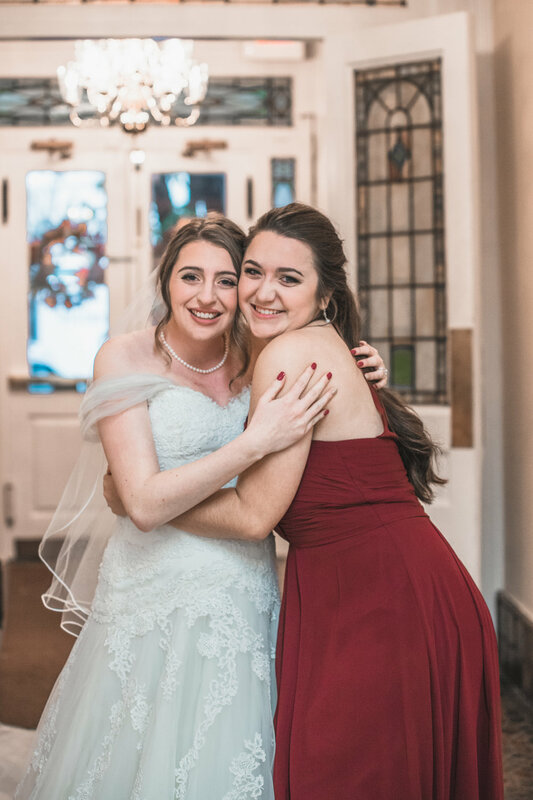 My Maid of Honor and best friend, changed her flight due to a personal scheduling conflict from 10pm Thursday night to arrive at 12pm earlier that day. Her flight landed right before the snow started to fall. Thursday came and went in a blink of a eye. On Friday morning I woke up next to my best friend and maid of honor around 7am and could not fall back to sleep. I was so excited! I saw Ethan for a few minutes that morning before he left to go decorate the church and we took time to go to a quiet room and pray over the day and the life that God has planned for us. Then my friend picked me up and the brides maids and I headed off to get our nails done, and get lunch before going over to help with last min decorations at the church. 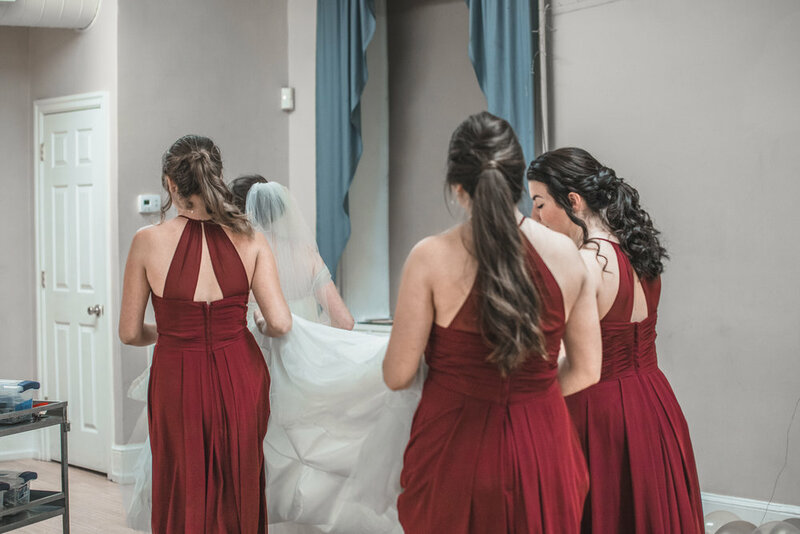 As soon as we started getting ready and my hair and makeup was getting done, it started to feel real. 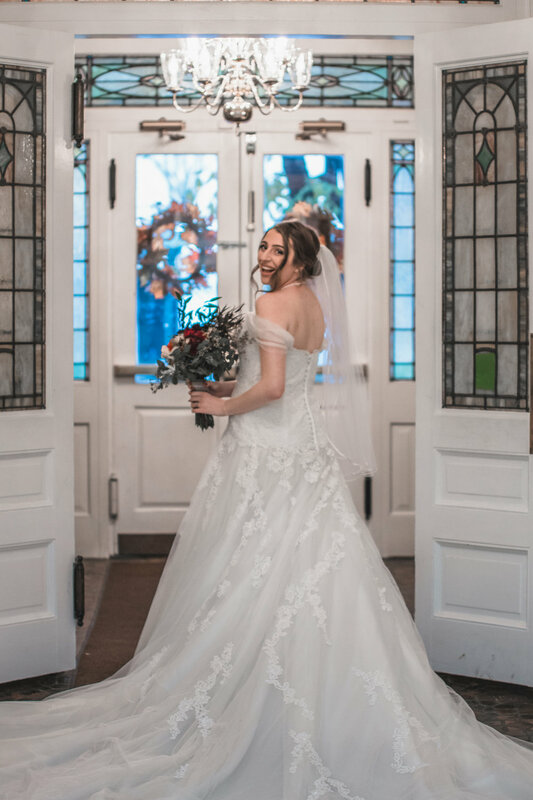 It finally felt like I was really a bride about to get married. From the moment I got into my dress till the end of the night seemed to go go by in a blurry blink of a eye. We had our first look at 3 o’clock and then bridal party pictures afterwards before a quick rehearsal just before the ceremony. After our rehearsal the boys went to their room to wait for the wedding to start and the girls went to another room. Our amazing pastor came to both rooms separately and prayed over us. 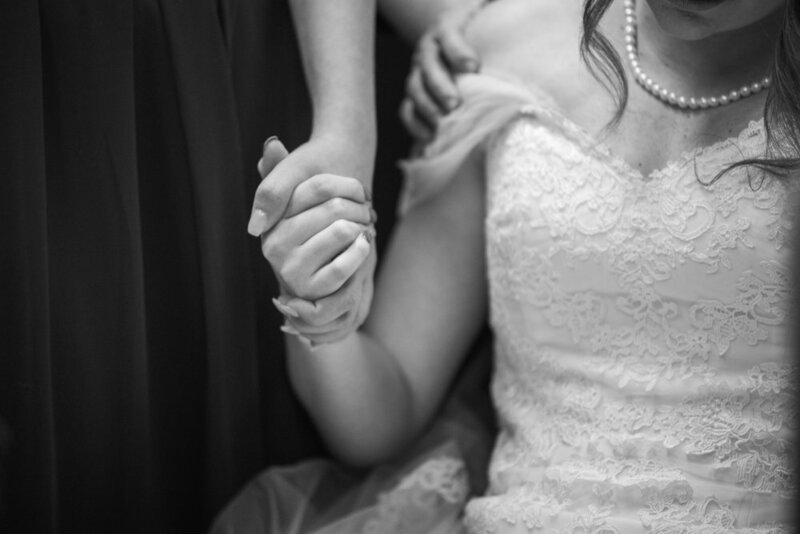 The prayer circle right before the wedding was one of my most special memories from that day. All the women and our pastor in the room said a prayer over me for Ethan and I and the life we were about to start together. It was really special and intimate and during the prayer circle there were many tears of joy. Then right before the ceremony, Ethan came down to the bridal room and prayed with me before we got ready to walk down the aisle. 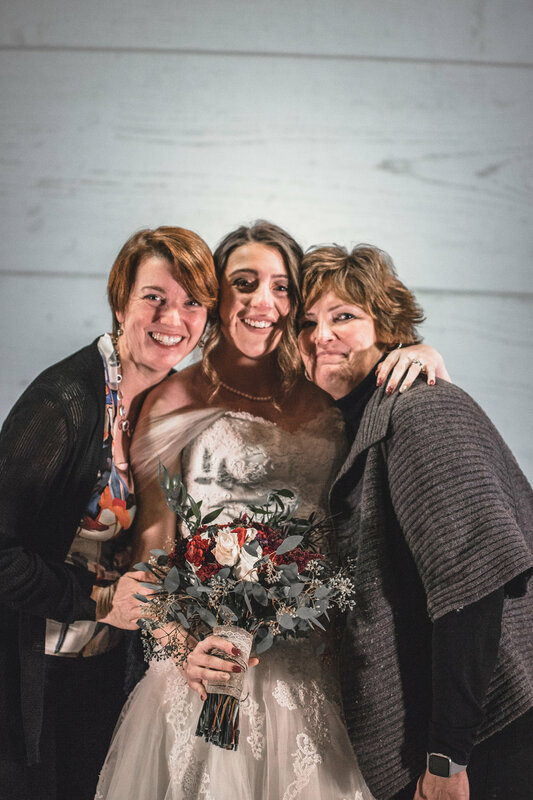 Just moments before walking down the aisle to say I do, my brides maids and I prayed together outside the sanctuary as we waited for our cue to go. The whole day from the time I woke up, to getting ready throughout the day, to just moments of people pulling us aside to pray was covered by prayer and Gods love was really felt by everyone. One of my most favorite and special moments of the day came when I walked down the aisle towards Ethan and he started to cry with such emotion! One of the things I love most about him is how loving, sweet, and sentimental he truly is. The ceremony was so beautiful and better then I could have ever imagined. Our reception was filled with lots of sweet treats, dancing, love, and laughter. It seemed to pass us by so quickly as we spent the evening celebrating with the people who love us and whom we love dearly. We had our first dance, dinner, speeches, cake cutting, bouquets toss, dancing, and ended the night with a bubble send off. We left the church, got into our car and drove away to our honey moon still in a wedding gown and tux. Needless to say it was and forever will be the best day of my life. I married my best friend, the most amazing man I could have ever asked for, and became apart of a beautiful family whom I love dearly. God has blessed us abundantly, and we are so excited for what he has in store for us. Ever since I started sharing pictures with my now fiancé on my page I have gotten one particular question a lot. 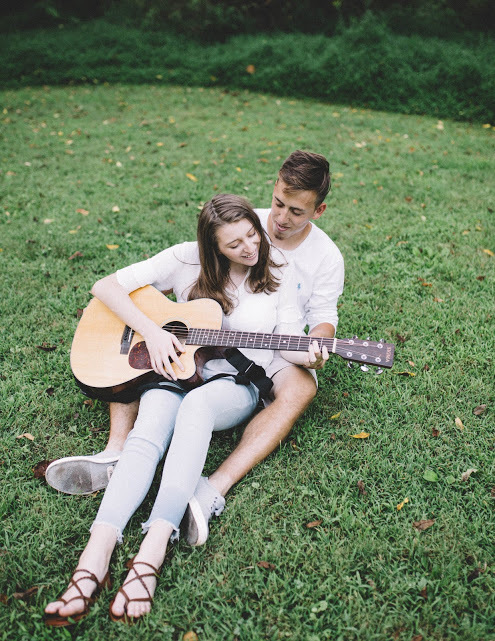 Girls of all different ages have been asking how to know if the guy I am with is the one God picked for me, or how to find that guy, and just a lot of questions pertaining to relationships and wanting to be in the right one. Before Ethan and I started dating I had gone out with guys but never had a serious boyfriend that I stayed consistent with. I would go out on some dates during high school and in middle school I had a “boyfriend”, who was basically just a friend deemed with that title and we would only hang out in big groups of friends or at school during lunch with super awkward middle school tendencies. But I was never involved with anyone seriously and no guy ever seemed to fit with me in a relationship context. So when I met Ethan and we started dating and it got serious it was a whole new experience for me. To start spending everyday with someone who wanted to pursue a serious relationship with me, who loved Jesus and to start having serious feelings, it was very new to me. I remember when he started to pursue me, I wasn’t sure where it was going to lead, but the biggest difference between him and boys I had known in the past was the intention and determination he put into pursing me. Looking back at the weeks before we started dating I realized all the ways he began to pursue me and be intentional with our relashionship. To be completely honest with you I never really knew or understood intentional dating up until my senior year of high school. I had never been exposed to it and I never wanted to be serious with anyone because I was so young and not convicted about finding anyone to be with. I saw my self going off to college and spending a few years living as a single women independently before dating a few guys, finding someone and starting dating serious, and then marrying them. But, the Autumn before I met Ethan my perspective changed a lot. I learned about what it meant to trust God to pick your spouse and date with the intention of marriage. I sat down and began to seriously pray about what that meant to me and what that would look like. I thought that if I trust God with ever other part of my life and surrender everything to him then this is an area I needed to surrender to him. I really wanted a boyfriend for a long time and didn’t have one. After I decided my heart was set on intentionally seeking someone and that it was what God was leading me to do, I started praying about it. I asked God to let the next guy I date be the one he picked for me to marry if that’s what he had planned for my life. I prayed for my future husband and made a list about the type of man I hoped he would be. Then came a season of waiting. By the time summer rolled around I was no longer thinking of getting into any kind of relationship, and my priorities shifted elsewhere. I was focused on school, my business, growing in my faith, and my blog. I was enjoying just being single and having the time to spend with those closest to me. During this time, one summer night my church had a young adult group pool party at one of my best friend’s house. There was a new guy there who I had never met before. I remember thinking how cute he was, listening to him sing and lead worship for us that night, getting his instagram and then just shrugging it off thinking he was cute and not expecting to much to come out of it. Over the next few weeks we started DMing, then snapchating, and then texting constantly. Eventually, he came over to my house for another youth group bible study one night and afterwards our group went mini golfing. That night we had a chance to talk alone and really connected. After that he invited himself over to my house to give me guitar lessons and then after that we hung out every night after work, and before I knew it he was my boyfriend. The whole relationship between us happened very quickly, very intentional, very naturally and he was intentional with pursing me and his intentions. One whole year later, we are engaged and he is my closet friend and the love of my life. A few weeks after we got engaged I was in my room cleaning and I found a old note book. As I went through it I find the list I made for the type of man I was looking for and what I hoped God would bring into my life. Now the list was very specific in some areas, and Ethan checked off every single one of them. God is so faithful, he answered so many of my prayers when he brought Ethan into my life. I knew from the day I said yes to being Ethan’s girlfriend that I could see myself marrying him. I knew that his qualities were ones I had desired in a future husband. As our relationship progressed it wasn’t always easy, but it always felt right and God put it on both of our hearts to stay together no matter what. 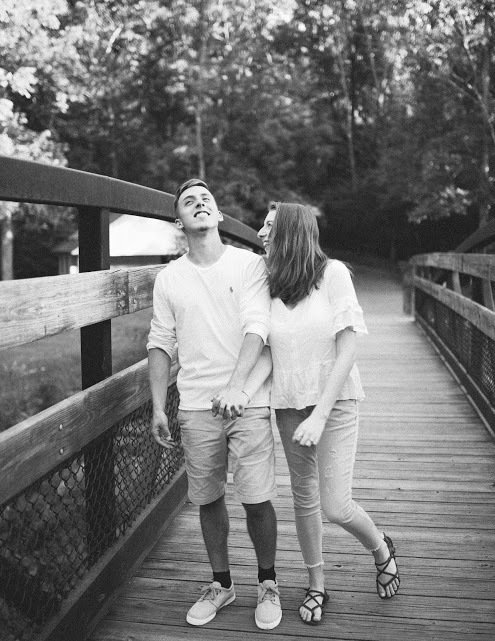 We went though a rough patch of a couple months where we both struggled with our relationship and our goals for our life, but God continued to put it on our hearts that we should stay together. I knew he was “the one” because even with everything we went through and all of the obstacles we faced, God kept pushing us to pursue a relationship with each other even when the option of breaking up seemed easier. My best advice to the question of what to look for in the next guy you date is to pray about it and take hold of what qualities God puts on your heart. After you pray about those qualities make a list and in a time of waiting pray on them. Pray for your future husband and trust God to help you navigate dating because it can be such a difficult thing at times. If you have a boyfriend now or a fiancé and it isn’t on your heart from God to stay with them, or if it doesn’t feel right, then leave him. God always has a plan for you and the man he has picked for you will be the best possible person in your life and exceed your expectations if you let God lead your relationship. 1. Is he a type of man you would be proud to have your son be just like? 2. If you had a daughter, would you want her to be treated the way you are treated? 3. Does he spiritually lead you? Is he in a place of spiritual maturity? 4. Does he fit the qualities the bible says a man should have? A Good friend once told me to use 1 corinthians 13:4-8 as a guideline, and to replace the word love with the name of the guy I am with. Is he patient? Is he to jealous of others? Is he humble? Does he brag too much? Is he rude? Is he selfish? Does he get really angry? Does he hold grudges? No man is perfect, we all have flaws and areas where we need to improve and ways God can sharpen us. But its important to trust God, even with our relationships because he has a wonderful plan for our future and knows exactly the type of man he intends for us to be with. God has a man for you, in this season of waiting theres is a reason, and he is preparing you both and will bring you together in his time. You are a beautiful amazing daughter of Christ and he has such a wonderful godly man for you. Don’t compromise your standards and what you hope for just for the sake of being in a relationship. Because the relationship God has for you, with the right man will exceed all you expectations. do not try and allow you convictions of wallets in a future spouse to be swayed even when you get impatient with waiting. Trust God and his timing, knowing that there is a time for everything and that with each season there is purpose. Wow oh wow! I can’t say enough about how thankful I am to have been baptized and what a blessing it was to share it with so many of you through my feed. I am in Awe of God and the way he works in our lives everyday. I got baptized alongside six others from my church and the whole experience was just amazing. Being baptized felt like a renewal and commitment to following Christ's path for my life that I have been needing. It felt as if my past guilt, shame, and sorrow had been washed away and God used this to show me I am whole and holy and his daughter. After I share more about my current season of life and testimony you may start to see what a true renew my baptism was for my walk with Christ and a way he was able to shower me with his grace and redeeming powers of love. The day of my baptism I had never been so nervous. I have done speaking events in front of hundreds of people and been confident to share what was on my heart but sharing my testimony with such raw, new and heavy things seemed like a mountain I wouldn’t be able to climb. My palms were sweating and I was shaking as I shared my testimony, afraid of judgment and backlash I expected to receive or thought I deserved. I am someone who hates to cry and while I was sharing my testimony pain and unsettled feelings washed up within me and I overflowed with tears and began to have trouble even speaking. God’s grace washed over me and before I knew it I was in the pool being prayed over and baptized. I forgot about the many people in the audience and was able to be in the moment and feel the gravity and amazing grace that had just been given to me as a child of God. God took my greatest fear sharing something so personal and used it to further my walk with him and also demonstrate his grace to me and remind me of what it looks like to love and show the kindness of Christ. After I shared my testimony so many people from the crowd came up to me, poured prayers over me and words of encouragement. I didn’t expect to receive that much love and kindness but God showed his grace and brought a community of believers into my life to demonstrate his loving, unjudging forgiveness. They told me that they were inspired by the courage and showed me grace like I had never seen before. God showed me that the real beauty of being his follower and being a disciple is sharing every piece of our testimony, and allowing him to steer our paths, giving him to glory to mend the broken and make beauty out of ashes. While you read my testimony you can see how imperfect I am, the pain I faced and the sins I fell into. You will know that I’m no better than you or anyone else but simply I’m just a girl with a heart for Jesus and a desire to follow him. My prayer for whoever reads this testimony is that they are reminded of God's grace and redemption through my words. That not only will this be a story of a life told but a example of how amazing God is and just how amazing it is in the ways he works and moves mountains for his children. Growing up my parents raised me with faith, I went to catholic church and would attend CCD classes but it wasn’t until I was 10 years old that God showed me there was much more to faith then just attending church services and learning the traditions of a church. When I was 10 years old I was diagnosed with cancer and during that time the Lord showed my what it means to receive his mercy and grace through faith and trust in Jesus. I submitted to Christ and I began to learn what a relationship with him looked like. He gave my mom a bible verse to cling to while I was sick that was Luke 8:50 "But when Jesus heard it, he answered him, saying, Fear not: believe only, and she shall be made whole.” During that time the verse gave my family hope and a promise that Christ fulfilled in my life. I saw Jesus work all around me, by turning pain to something to glorify him , healing me completely and changing the lives of people around me. Because of my cancer diagnoses the Lord used my story to inspire others and remind them of His remedying healing powers. After I went to high school I went to a private catholic high school and lost sight of the strong faith I once held. I wouldn’t go out and party or date around or anything like that but I lost sight of how important it was to read the bible, pray, and spend time with Jesus. My Junior year of high school I began to pursue my walk with Christ again and was reminded why I needed a relationship with him. He gave me an online platform to start sharing his word and started to develop a deep desire for him within me to have a relationship and serve him with all of my actions. I have heard people say faith is a journey and my walk with Jesus truly has been. A few months ago I fell into sin with my fiancé and we found out that we are expecting a son this January. Even though I sinned the Lord is continuing to work in my life. taking ashes and bringing them to beauty. He has brought so many people into my life to strengthen my faith and walk with Jesus to allow this situation to glorify him and refine and mature me through this. I know the Lord has forgiven me and is walking through this season of life with me to redeem the broken and shine his love. I am so thankful for the mercy, patience, and forgiveness of our God. I’m so thankful that he continues to draw me to Himself, and that Christ died for all my sin, past present, and future that I may repent and walk in forgiveness as a daughter of the king. Through every season of life Jesus has been with me and I feel so blessed to know who my savior is. This is my testimony. It may be short but those are the things Ive walked through with Christ by my side. This is the season of life I am in and the way I have seen God work around me has been nothing short of amazing and such a blessing. Currently I am in college pursuing my degree, working on planning a wedding to my fiancé and father of my son and preparing to be a mother and wife in the way that God has called me to be. God has restored my soul in this season of repentance and preparation. He has changed my heart where need be, removed people from my path and brought an amazing community of believers into my life to ministry to me during this time. He has brought couples who walked through the same season to show me just how he will use this child for his glory and allow the shame to fall off as I cling to his mercy and grace.